Altinkum Restaurants. The Best Dining Experience. Having spent a while in the resort of Altinkum, I thought it was time, I made a list of what I think are the best restaurants. I have come to my conclusion based on the ambiance, the staff but most of the quality of the food. I know it is boring when you try a restaurant and their food can be described as ok, but nothing more than that. These restaurants I think, offer food that leaves you with a satisfied experience having tasted excellent international cuisine. The list is in no particular order and I recommend that you try everyone of them at least once.I have deliberately not included any Turkish Food restaurants as they are to come later in another post. 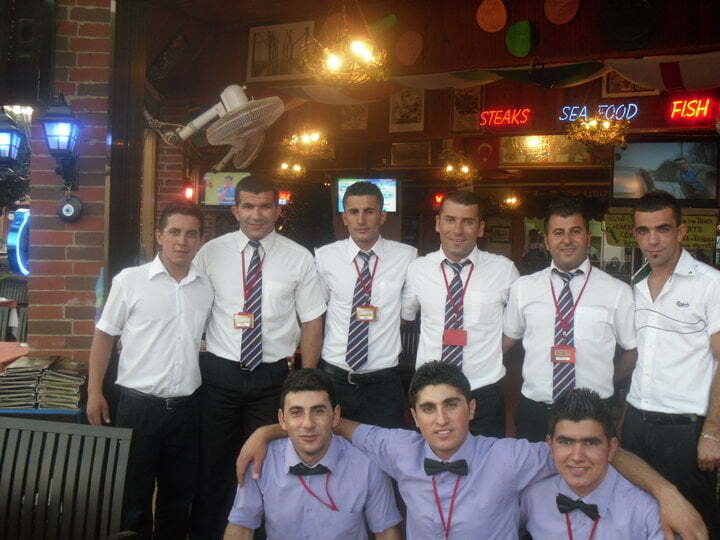 This restaurant is based on the main road of Altinkum called Ataturk Boulevard. It is not a big restaurant and suits those looking for a quiet, pleasant dining experience. The hostess is Karen and her husband, Erhan is the chef. Most of their menu is Italian however you can find delicious beef fajitas or a beef stroganoff served as well. The puddings are to die for, and if you find yourself there, be sure to ask Karen for a taste of her home made tiramisu. If you are a wine lover, this restaurant is for you as it stocks a variety of rose, white and red. 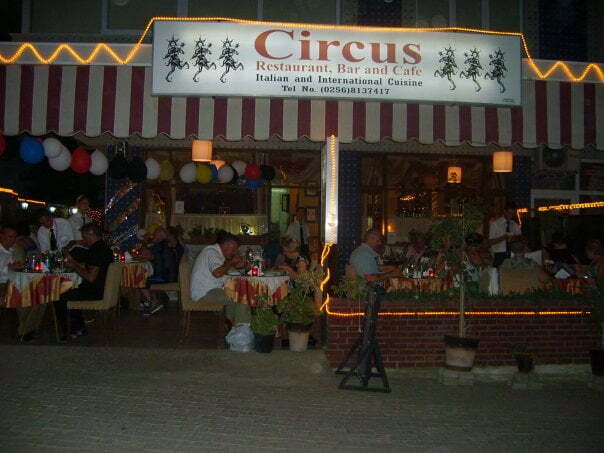 Circus Cafe Group on Facebook. This is true, proper Indian food. It really grates me when I see restaurants that offer Indian food and it turns out to be your basic bog standard curry from out of a jar. India Gate restaurant gets down to the basics in the preparation for their cuisine. You can taste exotic spices in their curries that will satisfy your taste buds. The chef was trained by the same chef who used to run the Taj Mahal Indian restaurant in Marmaris. Highly recommended is the Rogan Josh curry and meat samosas. If you are staying in a self catering apartment in Altinkum, they do take outs and a delivery service. India Gate on Facebook. Located on the main beach sea front of Altinkum, it is a big restaurant seating about 50 tables. If you are looking for a big screen to watch football, head to Big Bens because three big screens televisions take pride of place. They are quite busy during the day serving breakfast and lunch to all the beach lovers. At night time, it becomes a busy restaurant with cuisine to suit anyone. Highly recommended is their black tiger prawns for starters and steak for the main course. All the staff are suited and booted and are very polite. They will pick you up from your accommodation or Altinkum hotels and drop you off again, if everyone in your party is eating a meal. Big Bens Facebook Group. Hi Ellen. I have not heard of Bienko before. I will have to try it out. thanks for the tip. I live in Gursu, close to the restaurants you mentioned, so thanks for the info! Another restaurant I like on Ataturk Blvd is Bienko. It has the usual daily menu at lunch, and an extensive menu of meat, pasta and salads. Everything I’ve had has been good.